Bursting with fresh berry flavor! 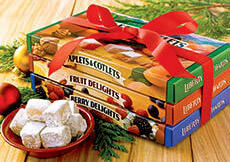 A tempting assortment of our most popular berry flavors in one gift box! Flavors include Strawberry-Walnut, Blueberry-Pecan, Blackberry-Conserve, Raspberry-Pecan, Cranberry-Walnut, and Blueberry-Conserve. Kosher. We started our love affair with Liberty decades ago, with Aplets and Cotlets, and have been trying new items ever since. Our new fave? The Berry Delights. 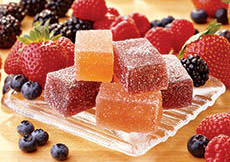 Bursting with berry flavors, they are delish! I received a holiday gift box of Washington products of which included a box of Berry Delights. Whoa I nearly hid this from my wife ( I didn't ). Superb very good candy. I (we) are new customers that will be ordering more in the near future. Awesome product. i bough a box of the berry delights for my wife she like it a lot but the only thing that she was concern that she said that they were a little to hard cause when she open it up she said that the plastic film was not seal and she told me that it looks like it was drop but she still eat it i told her that maybe was drop and damage before it got to the store or maybe got drop in the store but she told me not to worry about it ,so the next time that i went to the store i took a quick look and they an they all look that they were an acceptable condition so i took some time to write this .just wanna to let you know .so i bough another box for my wife and she said that those were much better and they were really soft my wife she loves the apple & cotlets. Delightfully delicious and different! This will be a favorite from now on. We actually live in Kenya, but your comment section wouldn't let me delete a state. So, Texas it is, our home state. Just know we are enjoying this half way around the world! 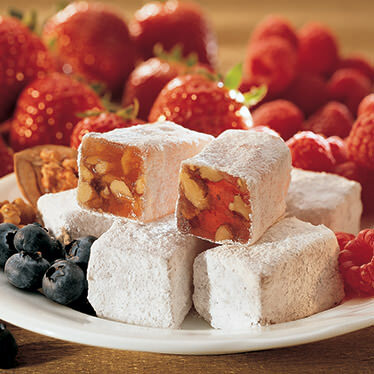 Delicous confections with English Walnuts. 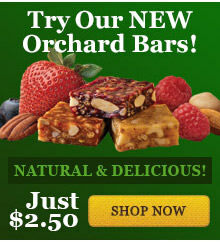 I bought a sample in the 99 cents store in San Jose, and really liked the Liberty Orchards confections. 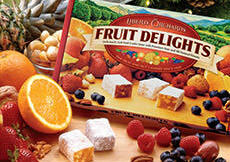 These are my favorite candies - they have refreshing berry flavors along with tasty nuts in just the right proportion.